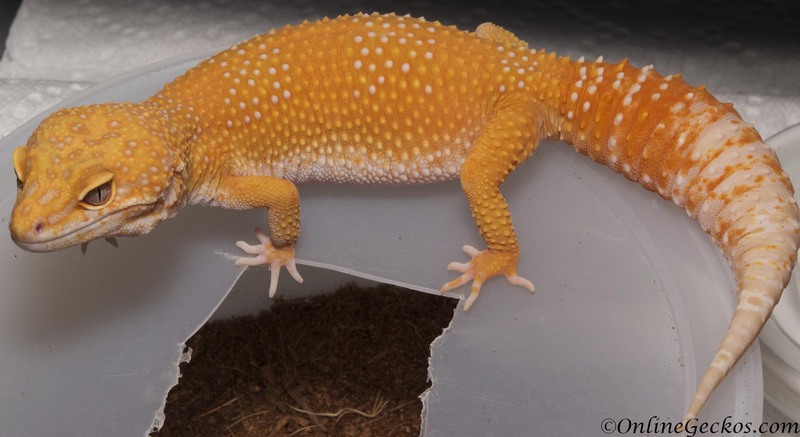 Both male and female leopard geckos could refuse food off and on throughout the breeding season, as we outlined in “My Leopard Gecko Won’t Eat” article. Some leopard geckos will fast through the whole season. You should not be alarmed. This is all part of the normal leopard gecko breeding season cycles. What if you have a leopard gecko under 1 year old? Leopard geckos that have not reached adulthood are on a different cycle. First year females usually start to ovulate between 8 – 12 months old. Males become sexually mature at around 6 months. This is one of the reasons why you shouldn’t house male & female together. The male will become sexually active first, and will try to mate with the female before the female is ready to breed. This will cause stress and often leads to fights. Females under stress will likely stop eating, and it could stunt their growth as a result. If you have a pair of male and female juveniles, and you intend on breeding them, it’s best to house them separately. Then once both are ready (when the female is ovulating), you put them together for awhile to copulate. Once done, you separate them again. This is the best way to ensure your geckos grow up healthy and stress-free. You will be giving them an opportunity to mature at their own pace. After they become adults (1+ year old), then they will start to follow the yearly breeding cycles during their 2nd year. To get yourself ready to breed, you need to have the incubator ready, hatchling housing setup with belly heat, and prepare to feed off lots of live insect feeders. The best reptile incubator we’ve used is Natures Spirit. We have a full article posted explaining why we feel Natures Spirit is the best reptile incubator of 2017-2018. We recommend you to read this article as we went into details about our incubation setup. You will need to prepare hatchling housing. Each fertile female could lay anywhere between 1 – 16 eggs. We had a female last season lay 15 eggs. That is a lot of hatchlings you need to house per female breeder. We recommend the shoebox rack system with flexwatt belly heat. There’s really no better way to setup hatchling housing for the sake of efficiency, safety, and space. In our experience it is always better to house the hatchlings alone. We’ve seen the best growth from hatchlings housed alone. People that house multiple hatchlings together often find one out of the bunch that gets bullied and don’t eat as well. Hatchlings that don’t feed well early on could have growth and developmental issues. You will also find bite marks and injuries such as regenerated tails when breeders mix hatchlings together. Lastly prepare yourself lots of insect feeders. Follow our feeder nutrition guide to find out the best insects to feed your leopard geckos with. We usually start them off with small mealworms. Each hatchlings/juveniles eat anywhere between 5-10 mealworms a day. So you can multiply that with however many hatchlings you have, you can see why you need to prepare lots of live insect feeders. We recommend introducing other feeders such as dubia roaches along the way. 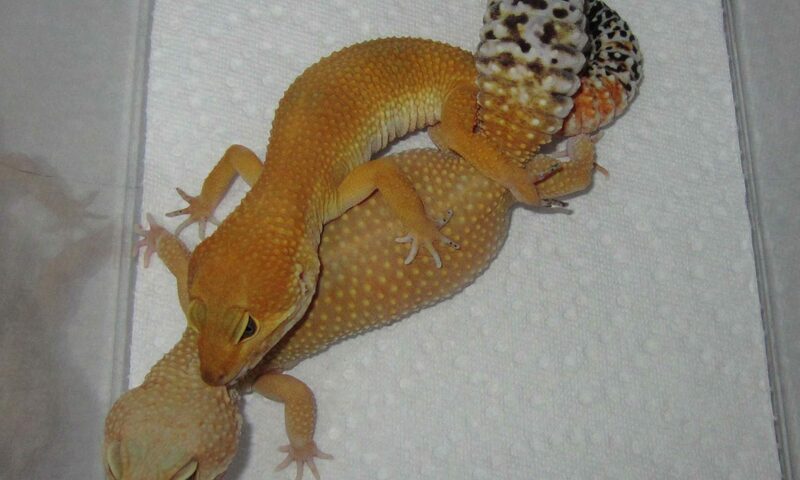 You want to train your geckos to not be picky eaters. Plus variety is key to better nutrition. Once the geckos grow up a bit in size (40g+) we introduce superworms. With superworms, you only need to feed one per day, as opposed to 10 mealworms a day. We get most of our feeder supplies from Rainbowmealworms. You can give them a try by using this 10% off coupon. Just click on the link, and look for a popup on bottom left corner of their site. Sign up with an account and place an order, you’ll receive 10% off your order. It’s an art to select the right breeders, but you also could use some luck. Nobody out there can guarantee you a gecko is a fertile breeder. There are times you will purchase a male or female, have everything planned out, but have the male/female turn out to be infertile or not a good breeder. To avoid disappointment, you should always plan your breeding groups accordingly. You should plan to have a male and 3-5 females in a breeding group (for small to mid scale breeders). It never hurts to have a backup male breeder, because some males are not good at copulating. Imagine having a breeding group ready to go, but have the male not perform. If you didn’t have a backup male, you would’ve lost a full season and have to start over again next year. Same goes for females. While some females are extremely fertile and can lay up to 16 eggs a season, there are females that won’t lay any eggs at all. Or they could lay eggs, but they are infertile eggs. You might also have a female that ends up being egg-bound, these things happen more often than you know. So you want to give yourself room for error, always have at least 3 females in a breeding group. For male, genetics matter. A male can breed with multiple females, so you want the male to have good amount of genes to give you more flexibility in a breeding project. 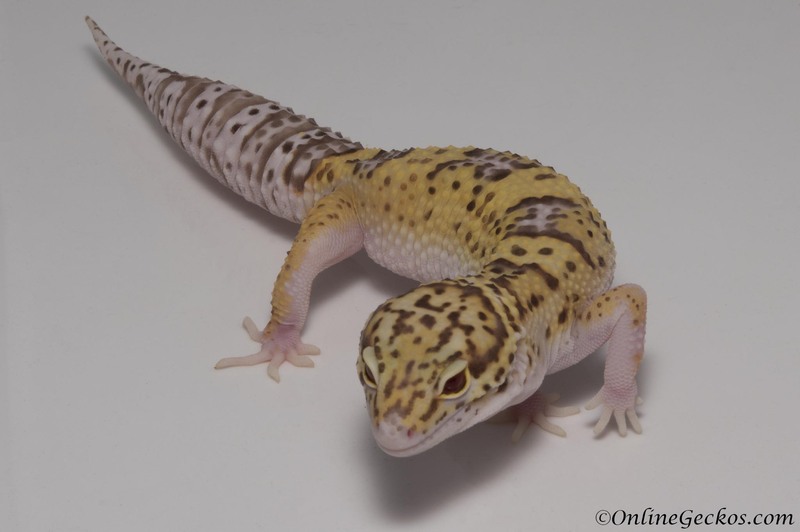 Take for an example on our leopard geckos for sale page, we have a Cyclone male for sale at the moment. A Cyclone is a triple gene combination of Rainwater Albino + Eclipse + Murphy Patternless. With 3 genes, this gives you better flexibility when choosing the females to go with him. 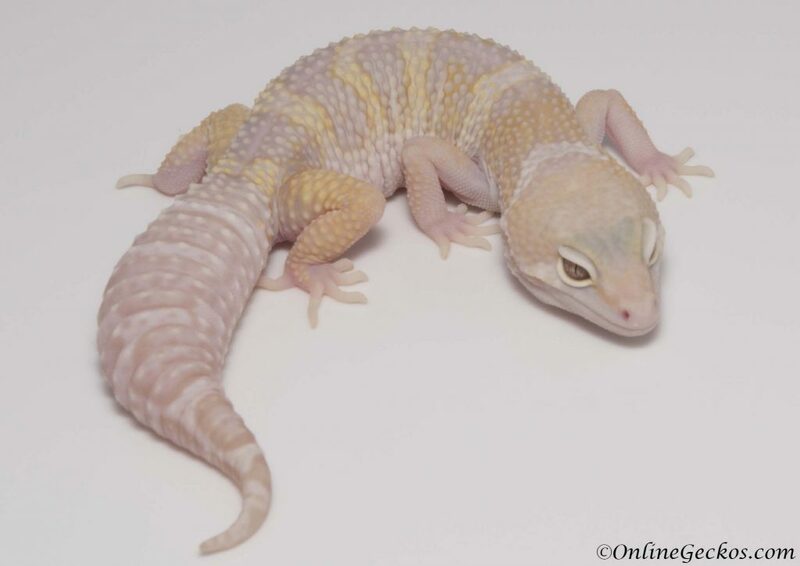 Instead of spending the money on a Cyclone female, you could have a Typhoon (Rainwater Albino + Eclipse) het Patternless. This combination will allow you to produce both Typhoons and Cyclones. You will end up spending less money on the female because you have a robust triple gene male. While the reverse can be true if you purchase a female Cyclone, but remember the female can only mate with 1 male. Where as the male can mate with multiple females. This is why the genes are important when picking out your keystone male breeder. For female breeders, having the right hets are important. There are rare hets that can be your gateway to more valuable and precious morphs. 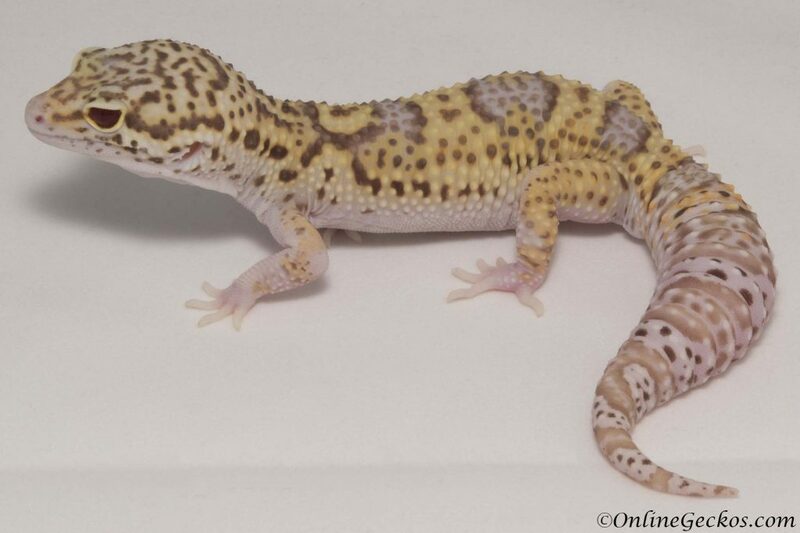 Here’s an example of a Radar het White Knight female we have for sale. A Radar is Bell Albino + Eclipse, het White Knight means het Blizzard. This female is your gateway to producing your own rare and valuable White Knights. So if you could get your hands on a White Knight male, for an example, having het White Knight on the female will allow you to produce White Knights right away. And you would only be spending a fraction of the cost than if you were to purchase a pair of male & female White Knights. With the savings, you could purchase additional females to give you more variety. We also have a Bell Blazing Blizzard het White Knight female for sale. Pairing this female up with a White Knight male, you would be able to produce both Bell Blazing Blizzards and White Knights. Using this example, 1 White Knight male + Radar het WK female + Bell Blazing Blizzard het WK female, you’ll spend less than 1 White Knight male + 1 White Knight female. But you will end up being able to produce a larger variety, more offspring, and you’ll still be able to produce valuable White Knights. Another option is to pair the het White Knight females with another male het White Knight. 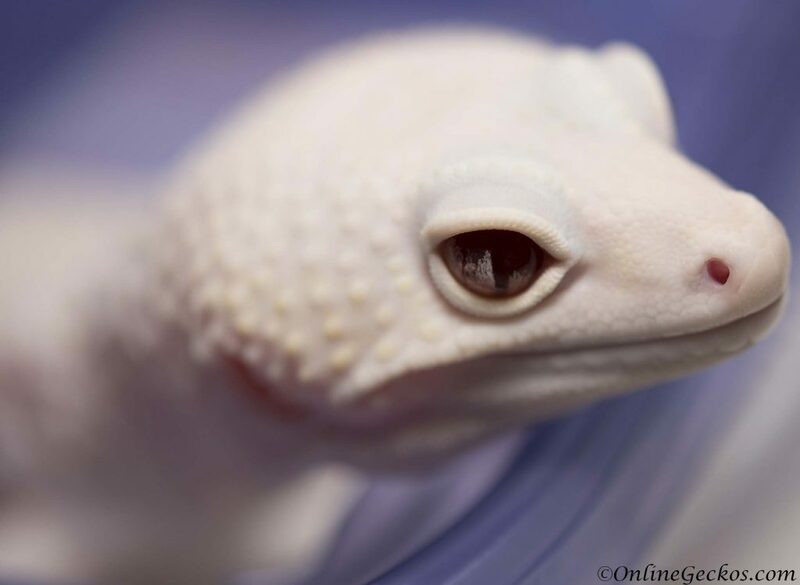 We currently have a Radar het White Knight male for sale. When you pair Radar het White Knight to another Radar het White Knight, you have 25% chance at producing White Knights (and 50% chance at producing Radar het White Knights). This is another route you could take, sort of a more budget route than trying to purchase a pure White Knight. You see how the hets really make a difference, and why some hets bump up the value of the geckos. Choosing the right quality breeders will give you the most promising results. There are other genes that you should definitely consider, such as Mack Snows. Having a Mack Snow is your gateway to Super Snows. Without Mack Snows, you will not be able to produce Super Snows at all. Here’s a Mack Snow Tremper Albino het Diablo Blanco female we have for sale at the moment. Even if you don’t have a Mack Snow in the male breeder, by just having 1 Mack Snow in a pairing, you’ll have 50% chance at producing Mack Snow in the offspring. And once you’ve done that, you can then pair two Mack Snows together for a chance at Super Snows. Mack Snow x Mack Snow = 25% chance at Super Snows. This is why even if you just have 1 Mack Snow to start, that’s enough for you to produce your own Mack Snows, with Super Snows just a year away. Having 1 Mack Snow will open up your genetic/morph variety for generations to come. Line-bred traits are traits enhanced by selective breeding over many generations. Tangerines & Bloods are great examples of this. You should always select the highest quality tangerines when picking out your breeders. Don’t be tricked into purchasing an expensive “Blood” by name without the gecko showing good Blood influence and expression. 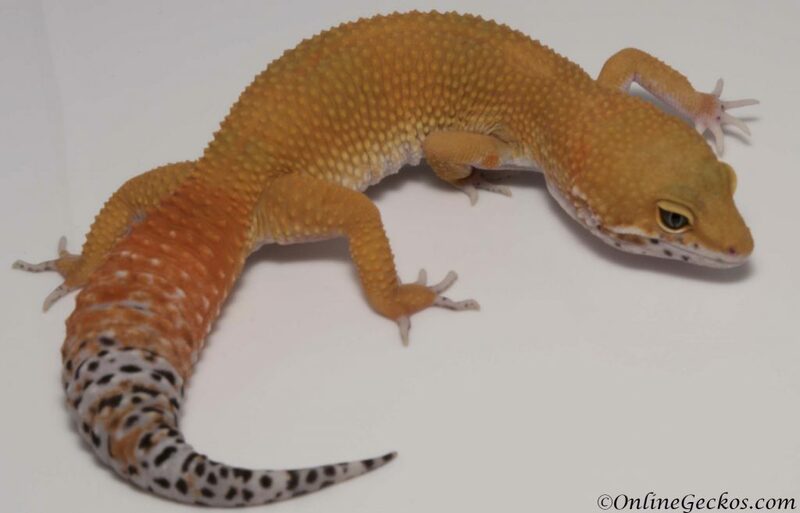 There are many “Blood” leopard geckos for sale out there that look like normal tangerines. One may purchase them thinking somehow because it’s a “Blood” that you would be able to produce high quality Bloods with them. In order for the offspring to show these enhanced line-bred traits, the parents must express these qualities. So if you were to purchase normal looking tangerines sold as Bloods, they would simply produce normal tangerine looking offspring. There’s nothing wrong with tangerines if you are looking to produce tangerines. Just know you could skip spending more money on a “Blood” when the gecko does not display Blood expression. Blood by name will not produce high quality Blood Super Hypos. It always helps to know what the parents look like. 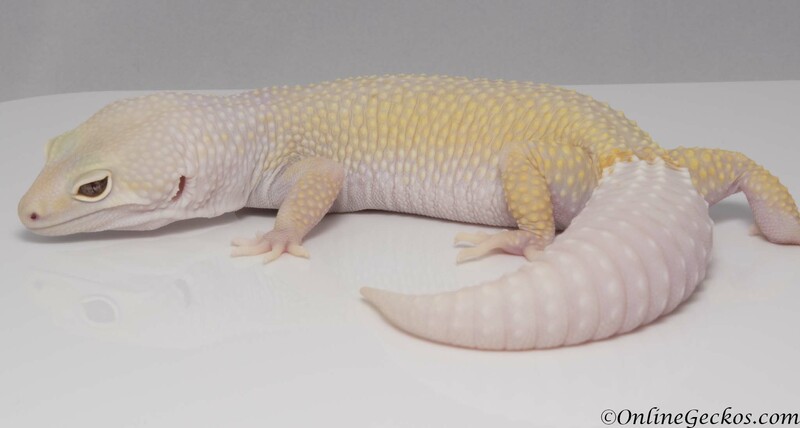 Our Electra below is a high quality Blood Albino. You can see the intense Blood expression in this gecko. It should come as no surprise she would be able to produce offspring looking as good as the Bloods we have for sale, such as this female Blood Super Hypo. Ever wonder what the differences are between Blood, Tangerine Tornado, and Super Hypo Tangerine Carrot-tail Baldy (SHTCTB)? SHTCTB usually have high yellow expression with light to medium orange influence. Tangerine Tornado is a bloodline from TUG, they usually have medium to deep orange expression. Blood is something else, it’s a high valued selective bred bloodline. They have deep orange expression with varying degrees of red influence, ranging from light/bright red to dark red. As with all morphs, you will get a wide range of qualities in these tangerine breeds. They are priced based on expression, bloodline, genetic potential, and the hets they carry. 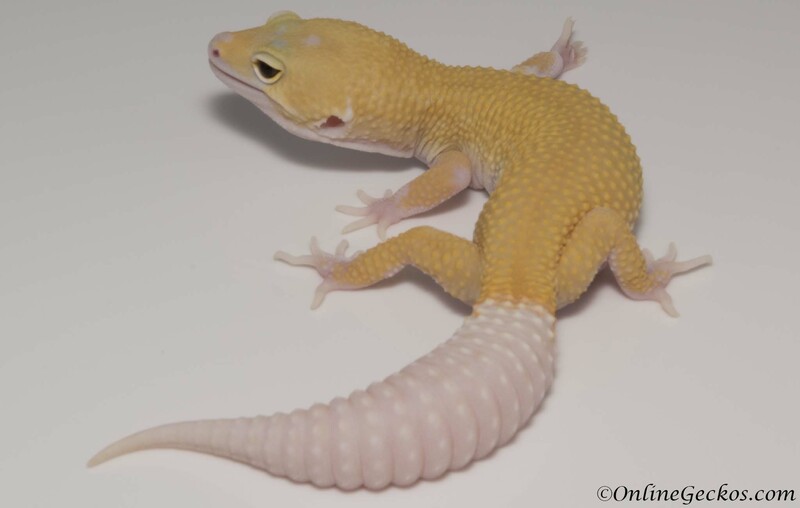 Lastly you need to ensure your leopard gecko breeders are in good health. The general consensus is the geckos should be above 45g in weight before you breed them. Female breeders especially should be plump and well supplemented. You should be dusting feeders with a quality multivitamin supplement such as Repashy Calcium Plus or Zoo Med Reptivite with D3 at every feeding. If a female does not feed well during the offseason, and the tail does not plump up, the female may not be a good breeder. At which point you have to decide whether to turn the female into a pet gecko or perhaps skip a season with her and let her just not breed for a year. Skipping a season is a common practice among gecko breeders. It takes a lot out of their bodies to produce eggs. If you attempt to breed a female that isn’t healthy, you could endanger the female’s life. The female may become egg-bound due to not having the strength and muscles to push the eggs out. She could also become malnourished and wither away during the season and never make it through. Important thing is be honest with yourself when deciding whether to breed a gecko. Be an ethical breeder. The leopard gecko’s well-being should always be your top priority. We highly recommend you to read our guide to small scale leopard gecko breeding. It compliments this article very well. You will learn startup tips, do’s and don’ts, and a full checklist of everything you need to get started. 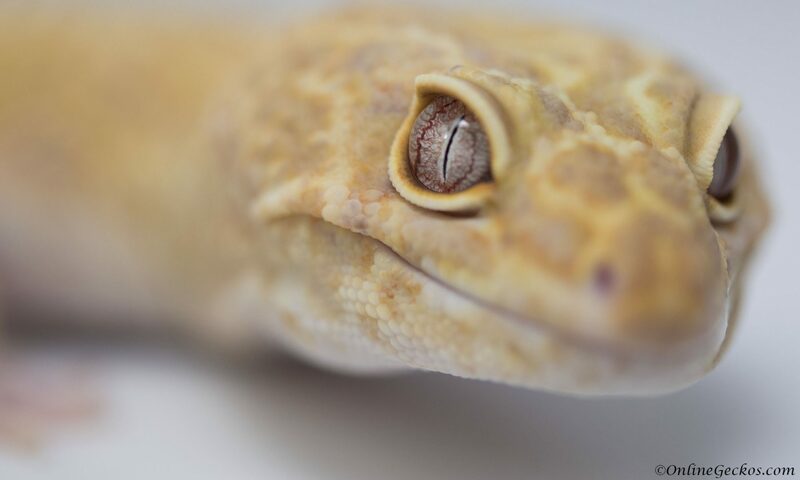 Also if you experience issues getting a pair of leopard geckos to breed, be sure to read our “Leopard Gecko Won’t Breed” article.